On February 14, 2018, a gunman opened fire at Marjory Stoneman Douglas High School in Parkland, Fla., killing 17 people in one of the deadliest school shootings in history. It wasn’t the first school shooting. Sadly, it isn’t even the most recent. On Thursday, March 22, 16-year-old Jaelynn Willey died from complications from a gunshot wound suffered after a fellow student opened fire in a hallway at Great Mills High School in Southern Maryland. In fact, in the 38 days since Parkland, the not-for-profit Gun Violence Archive estimates that at least 73 teenagers have been shot dead from gun violence in their communities. I was one of them. 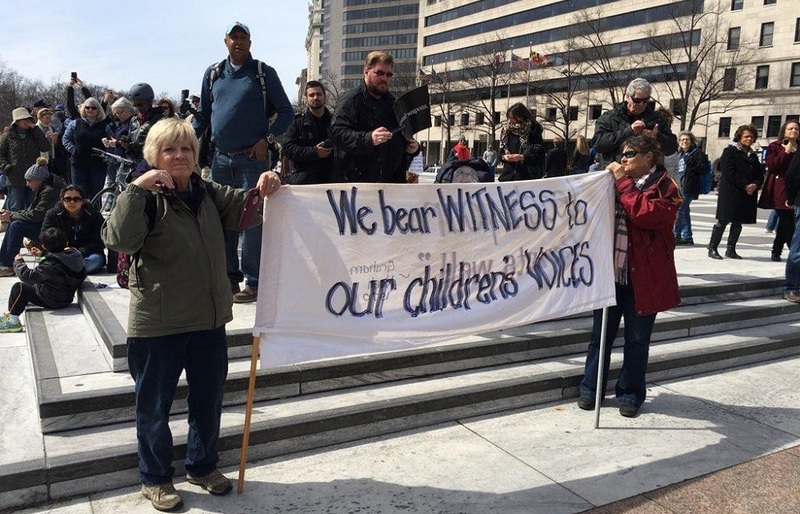 As a journalist and writer living in the nation’s capital, I have attended my share of protests—usually as an objective bystander. My aim has always been to tell the story, not to participate in it. On Saturday, my wife and I scrawled simple messages onto neon poster board. 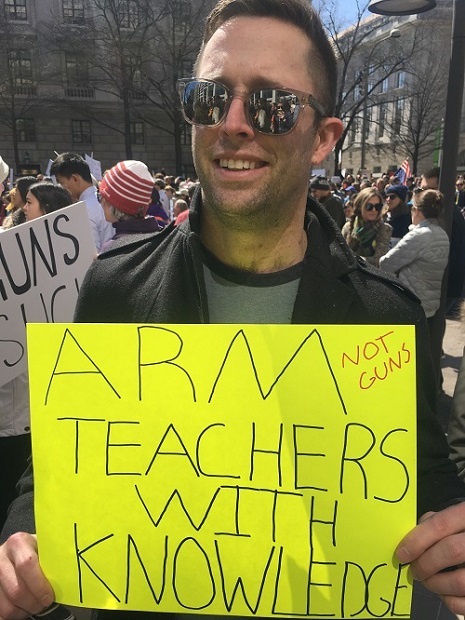 We wrote things like “Books not bullets,” “Arm teachers with knowledge” and “Inaction kills kids” and we marched the mile or so from our front door, past the crowds outside the White House gates to the Capitol—or, as close as we could get by lunchtime. We bowed our heads and felt uncomfortable as Emma Gonzalez, one of the most outspoken student voices in the wake of the Parkland shooting, stood in silence for more than six minutes to commemorate the full length of the attack. Seventeen dead, and at least as many injured—in six minutes. All because a troubled former student got his hands on a semi-automatic weapon and walked into a school. 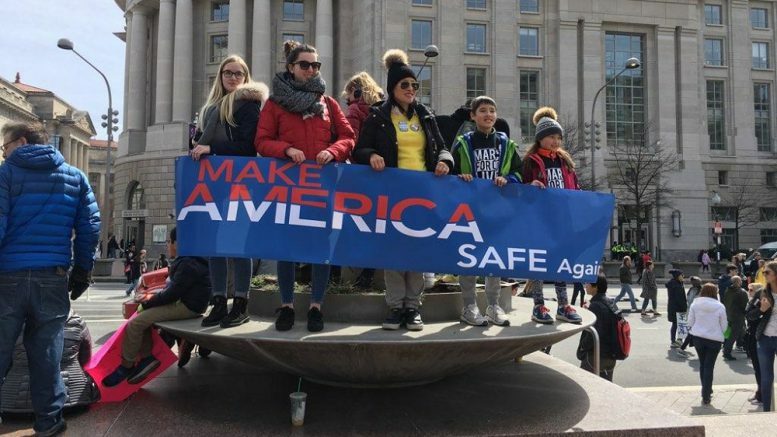 If it wasn’t obvious before Saturday’s March for Our Lives, it is now: There is a clear and present danger in our schools and in our communities. No student should go to school in fear of their own life. If the survivors of Parkland were telling us anything Saturday, it was that the so-called adults in the room have failed them—hopefully, for the last time. Across the country, our schoolchildren, most of them not yet old enough to vote, are scared and frustrated and angry. Assuming the politicians and leaders who have promised to protect them are unable or unwilling to live up to that promise, they are ready to raise their voices louder and lead the change themselves. They have finally had enough. The question now is: Have you? Did your schools participate in the March for Our Lives this weekend? What steps are you taking to amplify student voices in conversations around school safety? Share your stories in the comments. The opinions expressed in this column are the author’s. Be the first to comment on "At March for Our Lives, students seize control of gun debate"